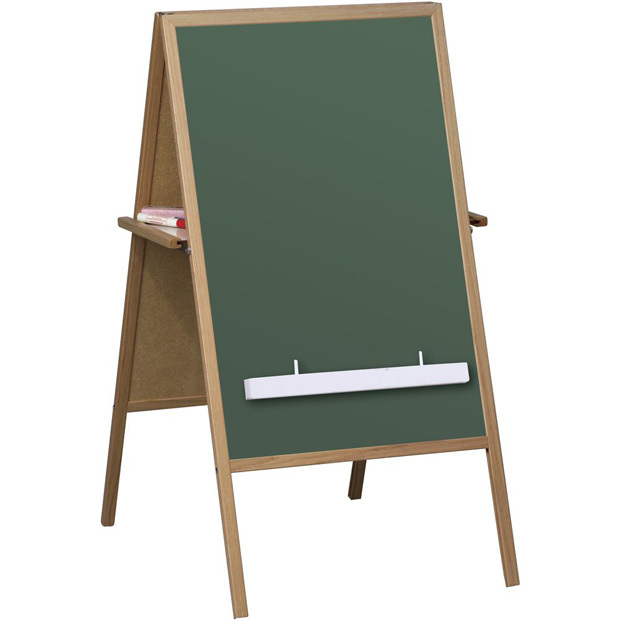 * The TMIE is a versatile addition to any educational environment. 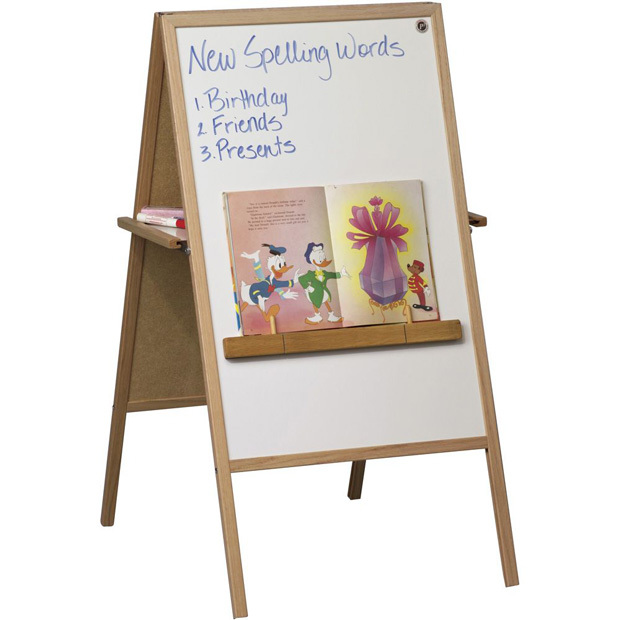 * Magnetic dry erase whiteboard on one side and magnetic chalkboard on the other. * Magnetic book ledge is included to hold books up for easy viewing during story time. * Storage tray located between the two surfaces. 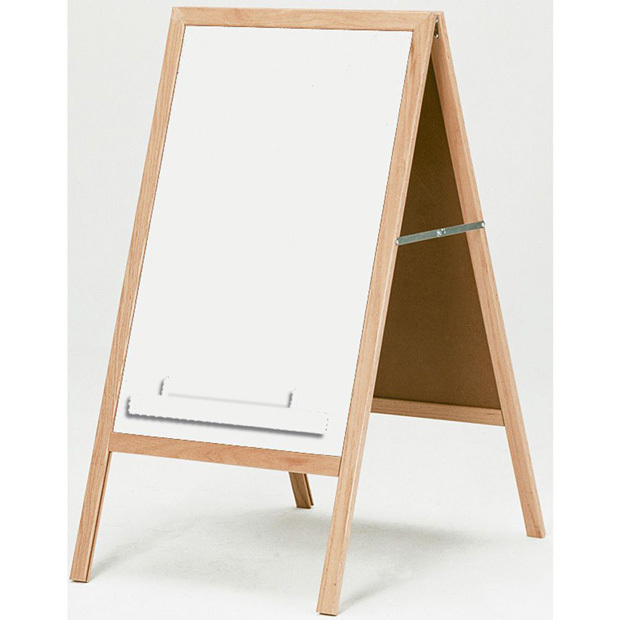 * Solid wood trim folds flat for compact storage. 50" x 27" x 4"